This year we are developing our pond area, to help support the teaching and learning of science. 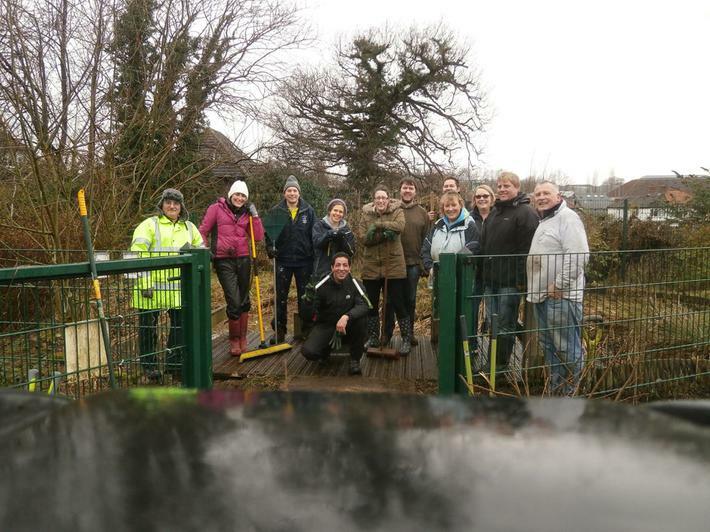 A team of staff and parents helped clear the pond, cutting back the brambles that had grown during last year's building work. It was a fantastic team effort; even a small amount of rain and a dusting of snow didn’t deter the team from the job in hand. We managed to clear the pond, the path that surrounds the pond, and the wider area. The pond is now accessible and it will be a fantastic learning opportunity for our children. 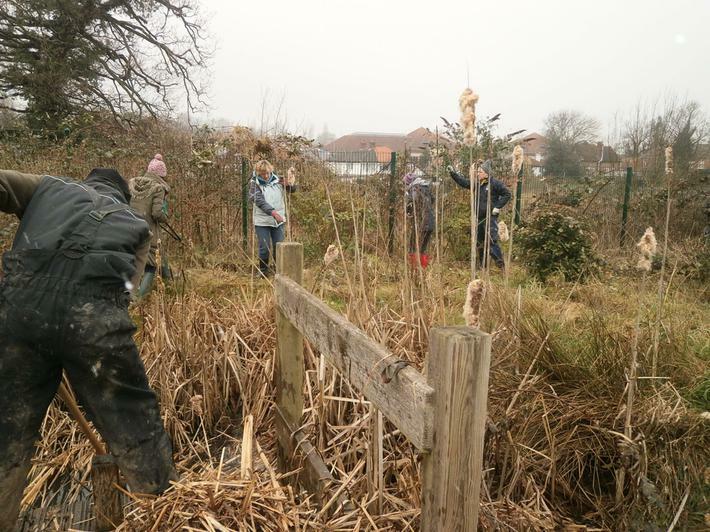 During half term a group of volunteers from the Leatherhead Youth Project worked on the development of the pond area. 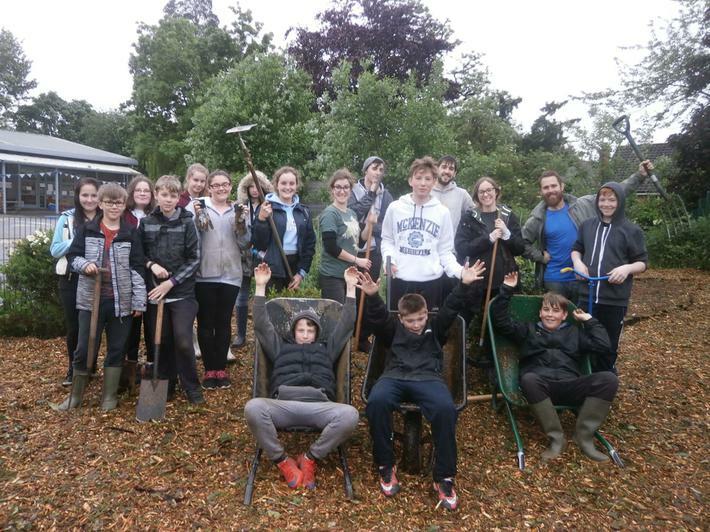 They worked incredibly hard; cutting back overgrown trees and plants, removing weeds, laying weed suppressant and finally covering the area with wood chip! All the volunteers did an amazing job. 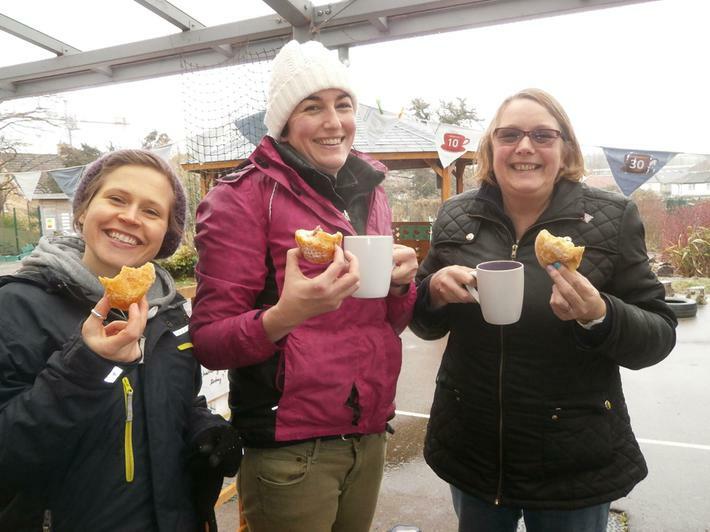 Thank you again to everyone at the Leatherhead Youth Project for all your hard work. We are really grateful.